Free Estimates for most repairs. No appointment is needed to leave a machine for service. Including Sewing, Embroidery, Quilting Machines and Sergers. Desert areas require machine maintenance more often because of the dry climate. Don't Let your machine freeze up due to lack of lubrication. Your project success starts with your scissors. 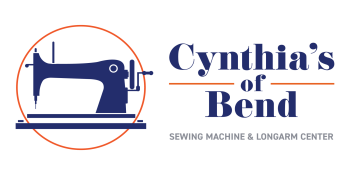 Let Cynthia's of Bend help you get off on the right foot. We sharpen on-site. Note: We sharpen fabric scissors only. No hair cutting scissors.